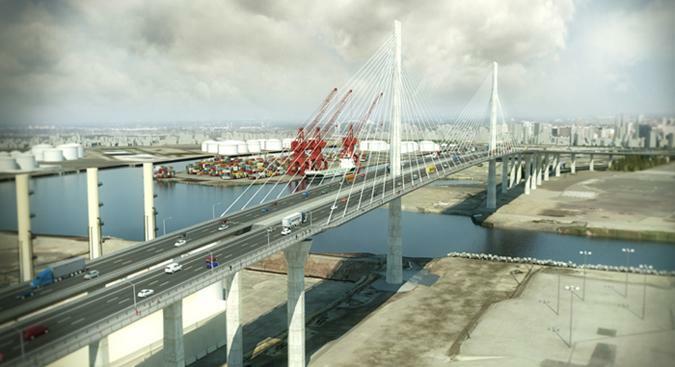 Members Only: Join WTS-LA for a tour of the Gerald Desmond Bridge Project. When completed, the Bridge will be one of the tallest bridges of its kind in the United States, an icon for the City of Long Beach and Southern California. Witness the construction of an iconic signature bridge in California's history! When completed, the Gerald Desmond Bridge Replacement Project will be one of the tallest bridges of its kind in the United States, an icon for the City of Long Beach and Southern California. This is a rare opportunity for WTS Los Angeles members only to receive a narrated construction site tour by the experts working on this unique project. Space is limited to 30 people and is on a first come, first served basis. Event registration will close on July 18th. No food provided. Bottled water will be available for all attendees. The tour will depart in a bus from the Project Office. All attendees must wear long pants and hard-sole, closed-toed shoes to be allowed on the construction site. Hard hats, safety vests and safety glasses are required PPEs, will be loaned to all tour participants and must be worn during the tour. If you attend, your registration fee will be refunded to you after the event. If you do not cancel your registration by 5:00 p.m. on Monday July 18th and you do not attend the event, you will forfeit the registration fee, and it will be applied to the WTS Scholarship fund. Limited underground parking is available at the Project Office. Carpooling is encouraged. Parking will be validated.